What Will My Theme Park Tickets Look Like? What Will My Orlando Theme Park Tickets Look Like? Back in July 2013 I wrote a post showing what your Theme Park Tickets should look like, but since that post a few things have changed including Disney introducing their RFID plastic tickets plus us gaining contracts with the Blue Man Group, Halloween Horror Nights and Kennedy Space Center, so I thought it was about time I wrote a new post including some of the newer tickets and the updated Disney tickets. Here at Theme Park Tickets we only offer gate ready tickets in to the major theme parks, it means you don’t have to go to guest services to swap a voucher for a real ticket, you just head straight to the turnstiles and in you go. Each supplier offers slightly different ways of fulfillment which can be confusing, here’s our definitive guide to what you’ll receive from us. The Disney tickets are made from plastic and are the size of a credit card. Disney generally offers 3 types of tickets, a 7 day, a 14 day and a 21 day ticket. Disney have spent Billions of Dollars implementing their My Magic+ technology which went live in 2014 and the new RFID disney tickets play a big part of it. Full terms can be found here - Memory Maker. Memory Maker expires when your ticket expires. Universal tickets are made from cardboard and are the size of a credit card. The front of each ticket looks the same, the backs show the ticket entitlement. SeaWorld P & E covers SeaWorld, Aquatica, Busch Gardens and Discovery Cove. They are leading the way in new line technology and are currently distributing gate ready tickets via email and print outs. 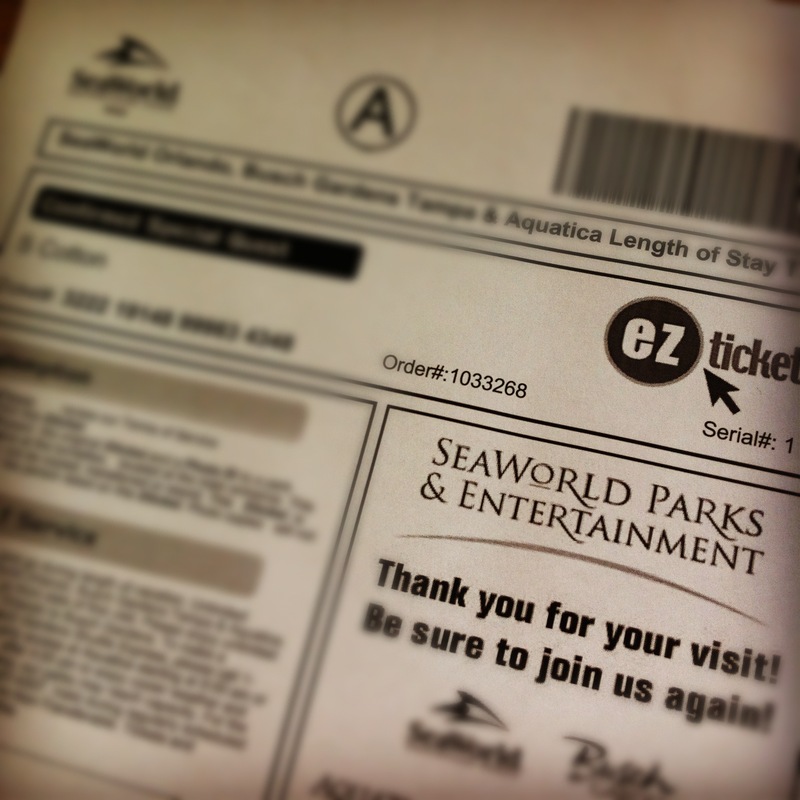 The tickets offered by SeaWorld are individually to each customer and clearly display all the inclusions, the best bit about this tickets is the ability to create multiple copies incase of loss. So there you have it our updated guide to the major theme park tickets which you’ll receive from us either in the post or via email. Remember all our tickets are gate ready, so no messing around, you head straight to the turnstiles and enjoy your day.